Unfortunately, the plan proved too ambitious for the time allotted. In January, QE2 sailed from Hamburg with workmen still onboard. The idea was that the work could be finished during the ship's crossing to New York. Meanwhile, the media chortled over how the mighty had fallen. News teams sought out passengers and attempted to interview the crew by shouting questions from the pier. John Olsen, then head of Cunard, apologized saying that Cunard had been “remiss in not delivering the ship in absolutely perfect condition.” As a result, what should have been a rebirth for the ship was a public relations disaster. 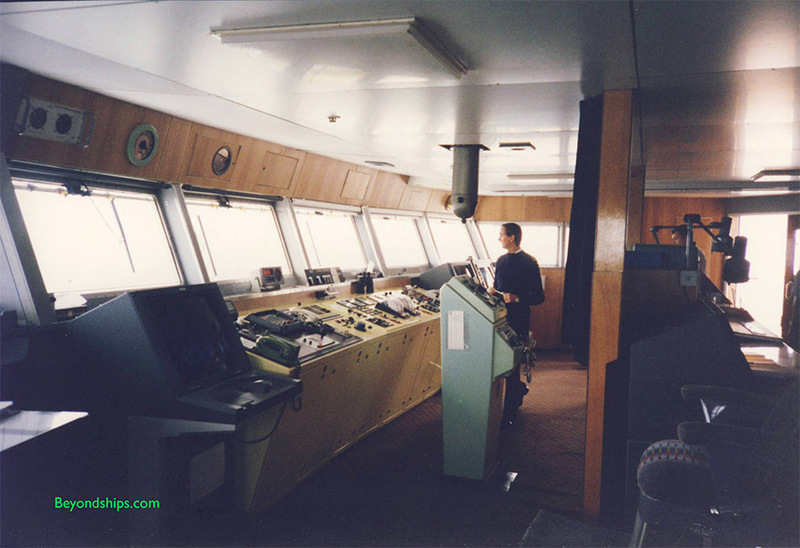 When the noise had subsided and the work completed, QE2 was a much improved ship. 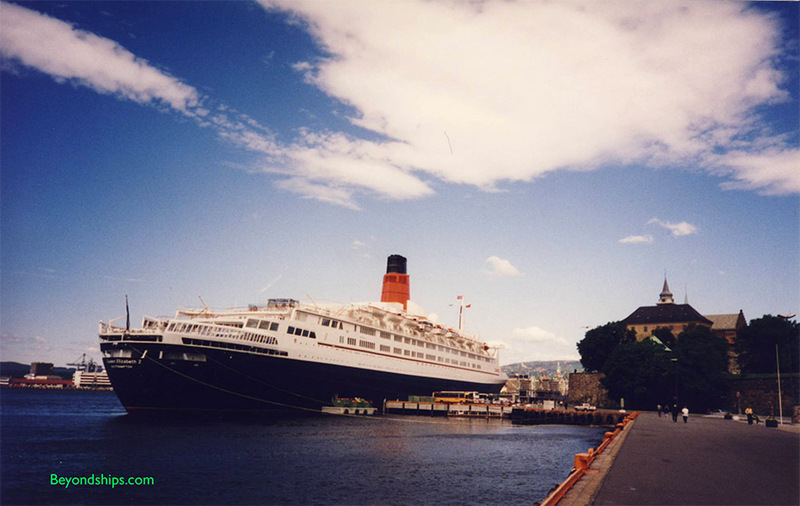 Indeed, much of what people think of when they think of QE2 as a classic ocean liner was actually done during this 1994 refit - - the wood veneer in the staircases and public areas, the maritime paintings, the Cunard Heritage exhibits and the overall decor of most of the public rooms. Furthermore, with the elimination of the Magrodome and Alpha and Beta, the stern of the ship had regained something of its original stepped profile. While stories of “exploding toilets” on a luxury liner may have seemed like harmless fun in some newsrooms, it was a very serous blow. Cunard and its then-owner Trafalgar House Limited had spent some 30 million pounds (about $45 million in those days) on the refurbishment. Trafalgar House had made the investment in hopes of offsetting setbacks it was sustaining in other areas. In a little more than a year, the ailing company would be taken over by Kvaerner. The question was whether QE2 would be able to recover from this blow. 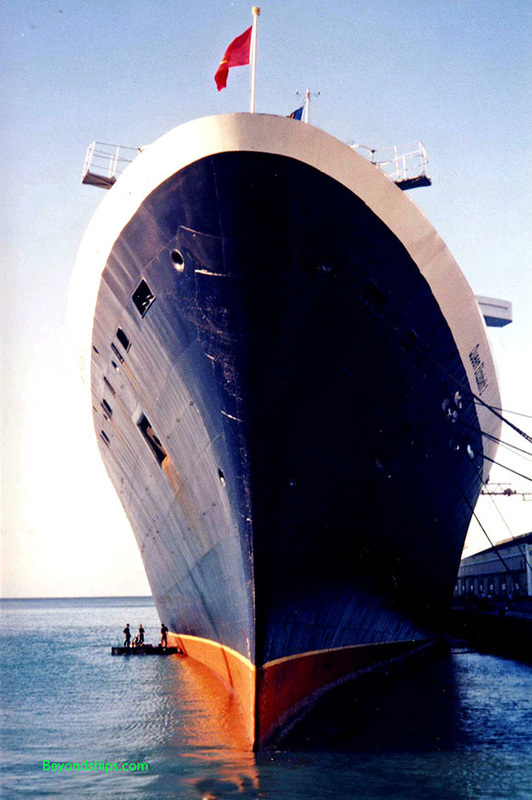 Above: Following the 1994 refit, QE2's silhouette more closely recalled the sleek, stepped stern design that she had had when she entered service in 1969. Above: Although not specified on the list of improvements to be made during the refit, QE2's bridge received a face lift. Legend has it that supplies from the Ward Room were exchanged for some of the wood paneling left over from the refurbishment of the public rooms. 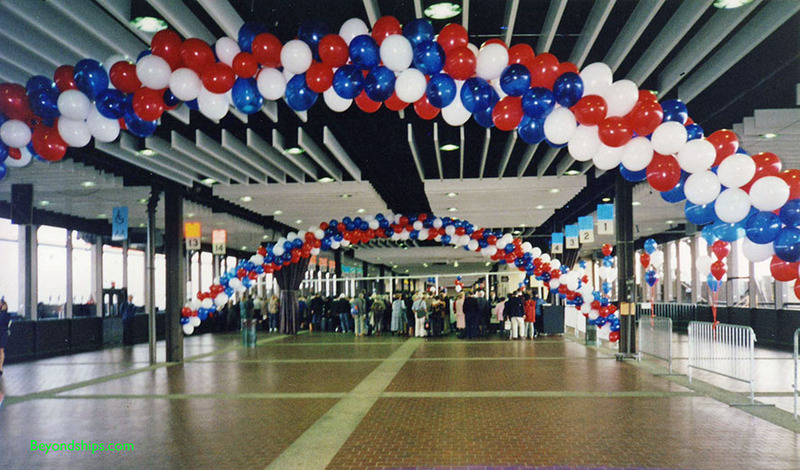 Above: Pier 90 in Manhattan decorated with more balloons than usual. Often the balloons were brought onboard and released as the ship proceeded down the Hudson where they would drift high above the city. 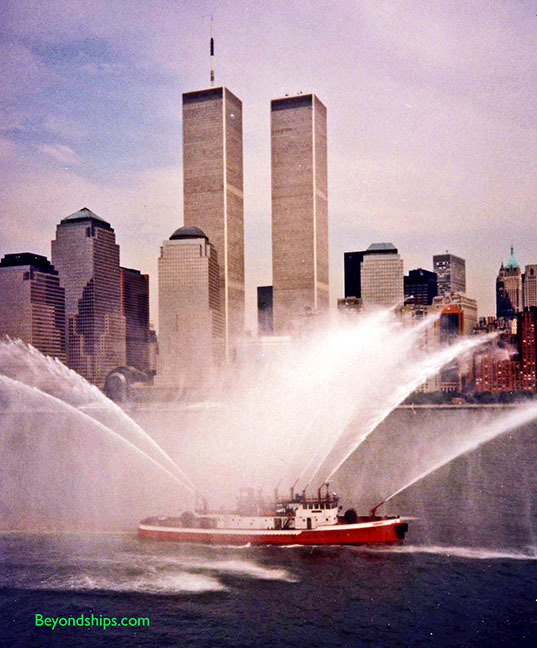 Below: A New York City Fireboat salutes QE2 as the ocean liner embarks on her 1,000th voyage.